Gurmar has botanical name Gymnema Sylvestre and Mesbasringin in Sanskrit. It is renowned herb for controlling high blood sugar condition. This plant is found abundantly in tropical forests of central India and southern India and has powerful sugar level controlling properties. The leaves and roots of this climbing woody plant are used for medicinal purposes. This is astringent and bitter in taste and has hot potency. It is pungent in after digestion effects and is light and un-unctuous in characteristics. Gymnema sylvestre is a stomachic, diuretic, refrigerant, astringent, and tonic. Benefits of Gurmar in diabetes are varied and heartening. 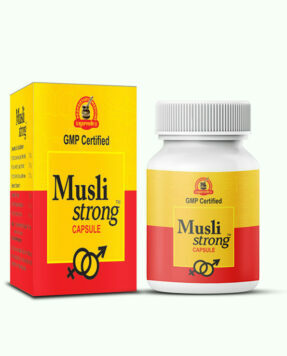 It is favorite herb of medical practitioners, as it is safe and suitable for people of all ages. 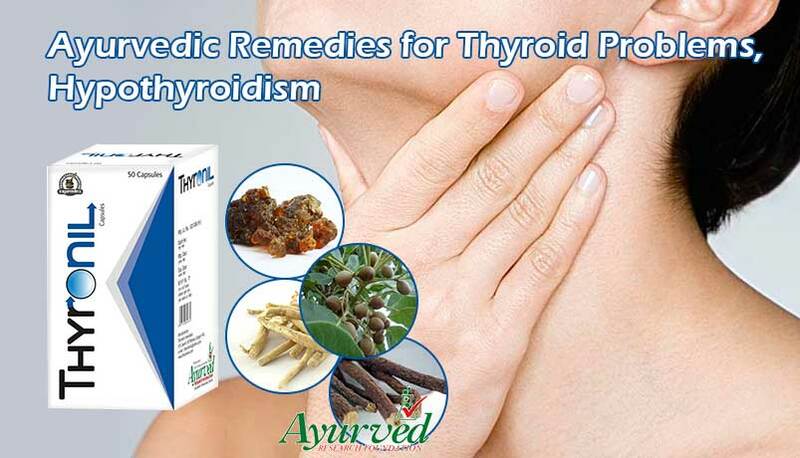 It hardly has any side effects and can be used for great effects by taking simple precautions. When administered in right dosage and correct method, benefits of Gurmar in diabetes have been far better than popular medicines and have improved condition of patient by relieving intensity of the disease considerably. In ancient ayurveda, Gurmar is depicted as Sugar Killer. This plant has elliptical and narrow tipped leaves, which can be chewed to control diabetes. However this herb as ayurvedic medicine is used after refining leaves and processing them. The properties of Gurmar leave checks absorption of glucose in blood. It is beneficial for type-1 and type-2 diabetes treatment and prevents level of sugar form surging. Gurmar leaves also reduce sensation of sweetness in mouth; person cannot feel the sweet taste as intensely as he does normally which reduces his craving to eat sugary. These benefits of Gurmar in diabetes reduce sugar intake of a person and helps him in following healthy eating pattern. Gymnema sylvestre benefits in controlling level of glucose in blood by slowing down supplementation and reducing sugar intake. Benefits of Gurmar in diabetes lower level of sugar present in blood. Gymnemic acid present in this herb has shown properties, which reduce level of glucose in blood and control high blood sugar levels. Use of Gymnema sylvestre benefits people suffering with hyperglycemia by burning down sugar, which stays in blood even after taking any allopathic medicine. The herb dissolves in digestive system readily and releases its ingredients in blood quickly to eliminate sugar and bring down its surging levels within healthy limits. By burning down sugar, Gymnema sylvestre benefits people who are running high on cholesterol. The unutilized sugar gets converted into calories, which get deposited as fat in body raising further complications. By reducing fat deposition, this herb prevents condition of patient from deteriorating and gradually improves his health and fitness. Gymnema sylvestre benefits people with hyperglycemia by managing their weight and cholesterol. 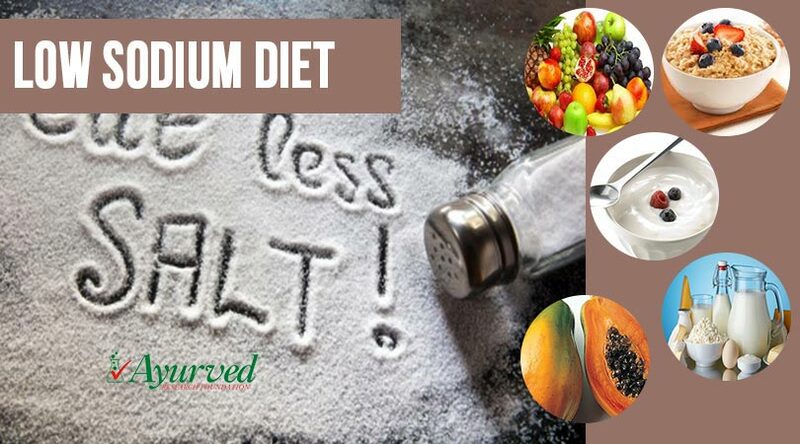 It helps in checking sugar supplementation through carbs. 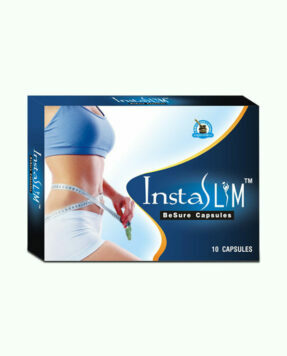 It also prevents excessive presence of sugar in blood and slows down conversion of sugar in fat or calories. These benefits of Gurmar in diabetes not only maintain healthy sugar levels but keep blood vessels free from blockages caused by cholesterol deposition and allow smooth flow of blood. Even and smooth flow of blood prevent conditions like high blood pressure from surging which add to complications by promoting stress, elevating level of cortisol and putting pressure on heart. Better fat metabolism also helps in producing higher energy, which makes up for poor sugar metabolism and keeps a person fit and active. By keeping diabetic person active and energized, Gymnema sylvestre benefits in keeping side effects of the problem under control. Gymnema sylvestre benefits for diabetes control also come in the form of insulin sensitivity. One of the major benefits of Gurmar in diabetes is its ability to increase insulin sensitivity, which promotes healthy metabolic functions of muscles, cells, kidneys and liver. Gymnema sylvestre benefits people with type-2 diabetes by improving insulin activity and reducing resistance by cells. This process gradually reduces intensity of the disease considerably over a period of time. Higher insulin sensitivity and reduced resistance allows a person to gain energized organs and muscles and perform exercises and daily tasks without getting fatigued frequently. Gurmar for diabetes control is extremely beneficial as it enhances liver and spleen functions. Liver may not produce insulin but it plays a significant role in maintaining sugar levels. People with poor liver health also suffer with fluctuations in sugar levels. Liver stores sugar in the form of glycogen, which is later utilized for producing energy. If liver is toxic or in poor health, it becomes incapable to process and store sugar which allows blood sugar level to rise after meals dangerously. Providing healthy liver functions is one among the major benefits of Gurmar in diabetes. Liver is also vital for removing blood impurities and producing bile to metabolize fat faster. So by improving liver health Gymnema sylvestre benefits diabetes in various ways. Spleen is responsible for removing dead RBCs from blood. It also removes unhealthy, damaged or inactive RBCs. Poor spleen functions or enlargement of spleen can affect blood’s nutrient carrying capacities and promote lethargy and weakness. Gymnema sylvestre benefits diabetic person by providing healthy spleen functions along with sound and upbeat liver. There are many benefits of Gurmar in diabetes but this herb is beneficial in different other ways as well. Traditionally Gurmar has been used for treating snake bites externally and internally. The roots and leaves of this herb were grounded together to form a paste and apply over bite and its decoction was given to the person to fight venom ingested in blood. It has powerful anti-parasitic and anti-chemical properties, which protect body from harm and maintain health. This herb is effective against hepatitis and treats the infection effectively. Gymnema sylvestre benefits for diabetes control are well-known but its benefits in reducing weight and minimizing risk of diabetes are bit lesser known. Gymnema sylvestre benefits control diabetes by reducing blood sugar levels, improving insulin activity and slowing down supplementation of sugar through carbs, sugary and starchy foods, but it also slows down and checks accumulation of fat in cells, which maximize chances of high sugar levels. Gurmar for diabetes control is extremely beneficial as it diffuses swelling in glands and treats general debility. Healthy glandular functions are not only crucial for maintaining healthy sugar levels but these are also vital for maintaining energy and vitality and promote longevity. By improving glandular health and performance this herb balances level of health promoting hormones including insulin and facilitates their effects in much better way. 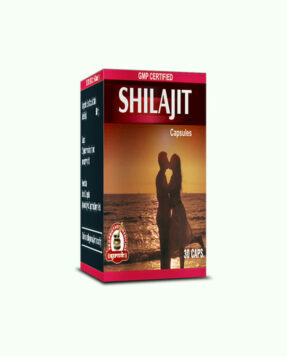 It reduces presence of sugar in urine which protects kidneys and maintains healthy urinary system. The major Gymnema sylvestre benefits for diabetes control are its property to slow down saccharine absorption through intestines. Slow and low saccharine absorption through intestines prevent sudden and big fluctuations in sugar levels which can damage nerves, capillaries and harm delicate organs of the body like eyes irreversibly. The problem of diabetes is spreading rapidly these days. People of all ages are catching it and it is one of the severest disorders which can harm vitality and longevity of a person considerably. 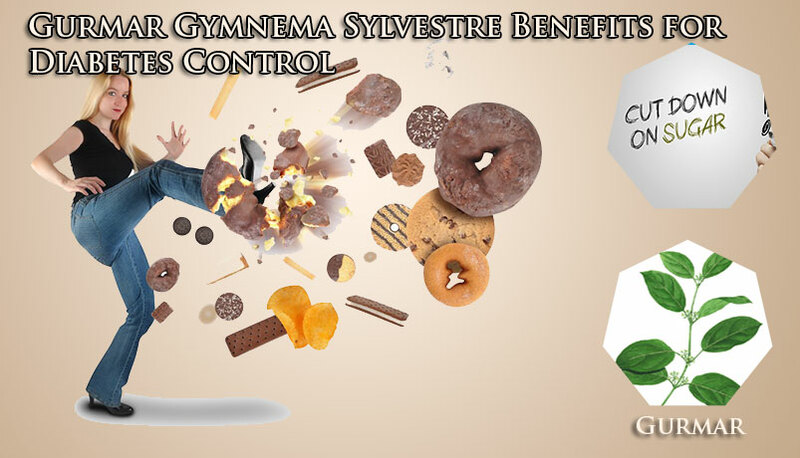 Gymnema sylvestre benefits for diabetes control can protect individuals from falling in web of this disease. Untimely diet, processed food, junk food and diet rich in Trans fat are primarily responsible causes of high blood sugar. 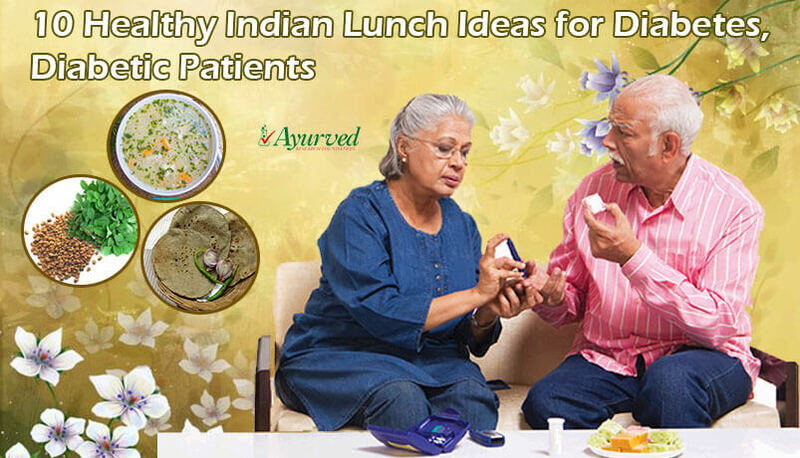 Gurmar for diabetes control benefits people from staying away from problem effectively. When excess fat gets absorbed in the cells, it makes changes over their surface and outer layer. It reduces efficacy of chemical receptors which are present over cells surface. Reduced activity of chemical receptors slow down insulin release and also raise resistance to insulin. Gurmar for diabetes control if used as preventive remedy metabolizes fat faster and also slows down absorption of fat in cells. This herb allows fat to get absorbed in fatty acids, where it gets burned by the body for energy production, thereby reducing chances of high cholesterol and hyperglycemia. It is not that Gymnema sylvestre benefits for diabetes control only, it works as powerful remedy to prevent chances of disease in prone individuals. By improving insulin sensitivity Gurmar benefits for diabetes control help people already facing high blood sugar and reduce risk of the disease in genetically predisposed individuals. Gurmar helps people already suffering with diabetes or prone to suffer with diabetes by reducing their sugar intake. This herb has active compound called as gymnemic acid. This acid’s molecule is similar in composition like sugar molecule, consumption of this herb allows gymnemic acid molecule to fill in taste buds in mouth which provide taste of sugar to a person. When these taste buds are satisfied person does not feel urge to eat sugary for longer duration. Controlled sugar intake in individuals is best way to prevent problem from occurring and aggravating. 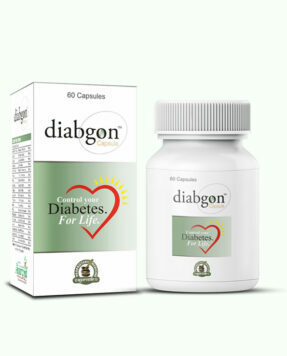 Diabgon capsules possess multiple herbs including Gurmar, which are highly beneficial in controlling diabetes. These herbal supplements for diabetes increase pancreatic functions and promote insulin release in higher quantity. Proper secretion of insulin helps in relieving high blood sugar conditions and also maintains vitality and energy. 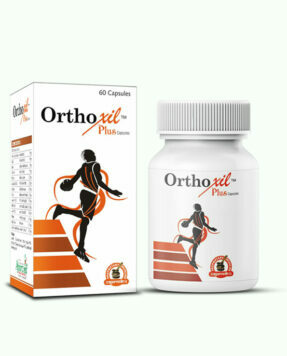 These pills possess herbs which metabolize fat faster and maintain healthy cholesterol levels. These also promote healthy clotting mechanism and faster healing of wounds. Herbs present in these pills remove plaque deposition in blood vessels and also dissolve fat deposited in blood vessels to keep blood flow smooth and even. These pills are wonderful for improving cardiac, urinary, digestive, circulatory and other metabolic functions and also improve health and functions of liver and kidneys. During digestion, these pills slow down supplementation of sugar to blood and prevent sugar levels from shooting-up after meals. These protect eyes, vision, nerves, blood vessels and heart from damaging effects of diabetes. One can gain benefits of multiple herbs by using these herbal anti-diabetic pills and lead a normal life despite of diabetes. These suppress frequent hunger, urination, thirst and cravings to eat sugary and maintain healthy eating and sleeping pattern. These cure lethargy, stress and fatigue and also relieve pain in legs, dysuria, etc., which are common symptoms of hyperglycemia. 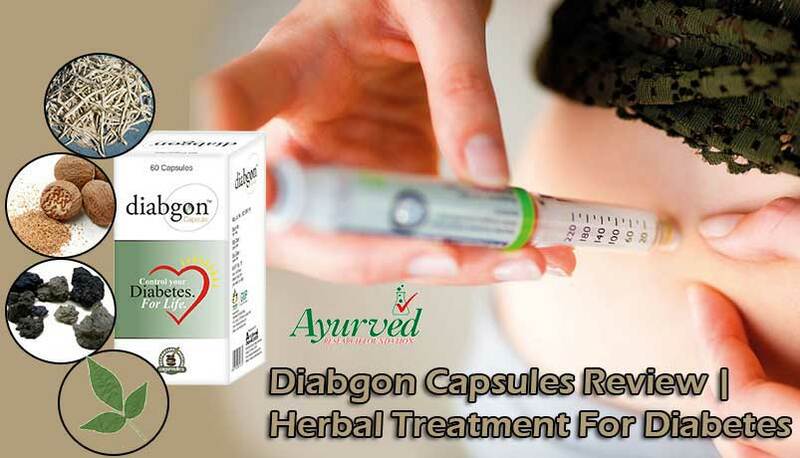 => Buy Diabgon Ayurvedic Diabetes Supplements to Reduce Blood Sugar Level.